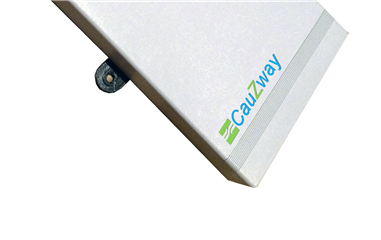 CauZway© commercial grade bridging technology affords the most powerful and affordable wireless device network available to the commercial building market. The CauZway Control with BACnet bridge delivers the robust wireless coverage necessary to operate in the most challenging building environments. Cauzway offers multiple devices designed for specific functions for use in energy management and BMS. Virtually any size network can be created reliably and economically. Networks range from a single remote point to thousands of devices serving multi-building campuses in congested urban environments. CauZway© works where other wireless devices and systems fail. Legacy systems suffer from lack of scalability, poor battery life, heavy maintenance requirements and short life expectancy. CauZway© solves these problems by making it easy to modify or expand legacy BACnet systems using a 900MHz commercial managed wireless network. CauZway© leverages superior technology proven in the 'Security Wireless' space. With 10 million sensing devices deployed, it is mature, and widely used by government and others.